Are you a true fan of the Blues? Do you follow every match? Have you picked up lots of little known facts about Chelsea Football Club along the way? 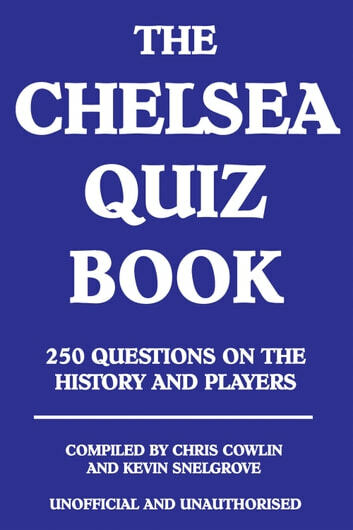 Then the time has come to put your knowledge to the test with this quiz book.With 250 questions, some easy, some more challenging, this book has been put together to test your memory of the people and places that have shaped the club’s long and successful history. Can you remember players past and present, their nationalities or how many caps they made for their country? 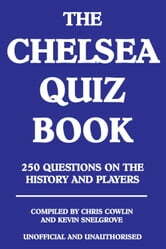 With questions on all aspects of the game including managers, opponents, club honours, and League positions, The Chelsea Quiz Book is certain to have you disputing points with your friends and family to find out who really knows the most about the Blues.Packed with information, this tribute to Chelsea Football Club is a must-have for all loyal Blues supporters and is guaranteed to score a hit with football enthusiasts everywhere.